Hello! 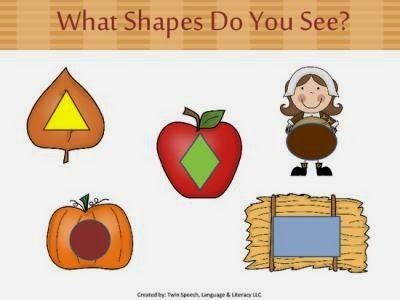 It's Manda & Shanda form Twin Speech, Langauge & Literacy LLC. We are super happy to be back at Speechie Freebies this month in order to provide you with another FREEBIE. 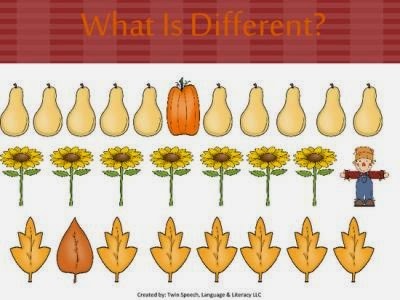 It's pumpkin time again and that is why we revised our Autumn Time Concepts Packet. 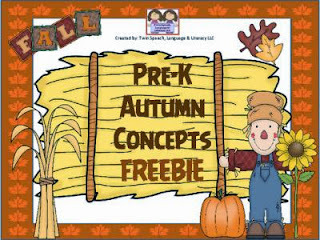 It is filled with fun fall-themed clip art and a whole lot of fun worksheets to do with your Pre-K students who need to work on understanding basic concepts. 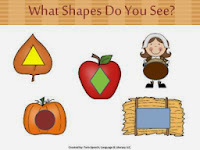 2) What Shapes Do You See? 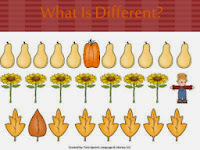 Twin Speech, Language & Literacy LLC Teachers Notebook store! Just click on the link to either store today! Follow our blog or Facebook page. It would be fantastic if you did!